Farnborough Rugby Union Football Club was formed in 1914 and was originally known as the Royal Aircraft Factory (RAF) Rugby Union Football Club. The RAF became the Royal Aeronautical Establishment (RAE) in 1918 and the Club changed its name to the RAE RFC. During its early history, Club members were drawn from people working at the RAE. During the 1939/45 war the RAE played a key role in supporting the armed forces. As a result there were always plenty of RAE workers in the area and the Rugby Club continued to flourish. During this period the Club even supplied players to wartime England teams, in the absence of the many players who served in the armed forces. The association with what is now the Defence Science and Technology Laboratory (a government agency under the umbrella of the Ministry of Defence created from the remainder of the Defence Evaluation and Research Agency when that body was part-privatised to form Qinetiq) continues. Further, with Aldershot and Odiham being close by the Club has also benefited over the years from players and coaches drawn from the ranks of the Army and the RAF. The seventies saw Farnborough as a town become part of Rushmoor Borough Council. An increasing number of players did not work for the RAE and the decision was made to move to Tile Barn Close and eventually become Farnborough RUFC with a proper town identity. Today, as ever, rugby union football remains the raison d etre of the Club. 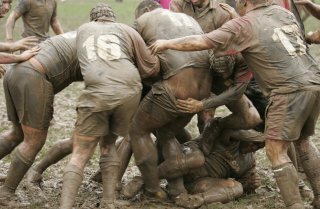 Rugby at Farnborough is for all, three male senior sides - firsts, seconds and veterans and a ladies side as well as mini and junior rugby for under sevens through to colts (including for children with special needs). The Club also hosts the Hampshire Elite Player Development Group (EPDG) run jointly by Hampshire RFU and London Irish (with whom the Club is a Community Partner Club). Over the last few years several Club junior players have been selected for the EPDGs. Floodlights were installed in 2009 covering the 1st XV pitch and surrounding training areas, and are well used in the dark months. Following achievement of RFU Whole Club Seal of Approval (WCSOA) status in 2010, in April 2012 the Club was awarded RFU Accreditation status (as one of the first Clubs to so achieve). This is awarded for proven excellent standards across all aspects of the Club playing and non-playing (quality management, financial control, development planning, etc.). As the largest community club in the Borough, the Club s facilities are used by a range of other sporting clubs, including Rushmoor Sunday Football Club, the Rushmoor branch of the Disabled Sports Association the Mallards, and the Dolphins Sub-Aqua Club, as well as non-sporting community groups. Further, the Club has formal liaison agreements in place with local Colleges, including with Monday training sessions and Wednesday matches running with the Farnborough 6th Form College and other local Colleges. Liaison also takes place with all local primary and junior schools, with rugby sessions held. The Club runs a Summer Touch Rugby Programme to encourage new people to become active at the Club. The Club also participates in Council organised events for the local community. 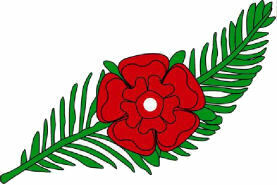 Rushmoor Borough Council actively supports the Club in recognition of our community values and contributions, including involvement with the disabled. 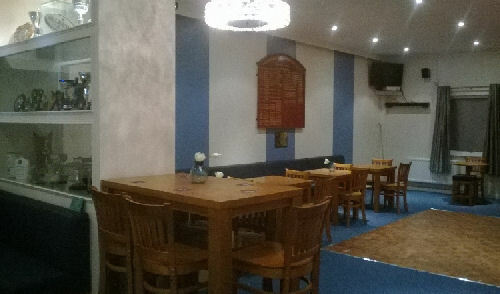 Following a major clubhouse extension in 1999 and complete replacement of the kitchen with modern facilities in 2010, a major facility refresh took place in April/May 2015, This involved complete refurbishment of the entrance hall and main Club room including the bar, with all new decoration, new modern furniture and carpeting, and improvements to lighting, audio and visual facilities new projection and big screen), and some improvement work in the lounge bar (all new decoration and big screen TV). The refurbishment was made possible by equal support from local building company Total Build (http://www.totalbuilds.co.uk) and the Rugby Football Union (RFU). The RFU selected the Club as meriting a grant under the RFU s 2015 Rugby World Cup (RWC 2015) Lead Up & Legacy Transforming Social Spaces programme. Total Build matched the RFU grant £ for £, and carried out the work to complete the project for the Club. This is in part within Total Build s generous sponsorship of the Club. The Club is very grateful for this support from Total Build, and looks forward to an ongoing partnership to the benefit of both the Club and Total Build, and indeed the local community. This transformation of the Club s social spaces will improve the quality of the rugby and social experience for everyone using the Club, providing more playing opportunities - especially for local people in the 14-24 age group, and importantly providing a resource to be used by the local community. The end product is a 21st Century and snug community environment for all ages, male and female, for live televised sporting events, for Club functions and hires by outside organisations and members of the public. This will help the Club raise its profile and encourage more players, volunteers and spectators to share the special values that distinguish the sport. The Club now has some of the best facilities in the area that local people from Farnborough and the other towns and villages in the surrounding area can use. The Club does not stand still , and plans are advanced for further extension to include additional changing rooms, a larger main club room (which if necessary can be split into 2 parts) and an improved shop. Club facilities are available for hire at very competitive rates. To hire the facilities please email info@farnboroughrugby.co.uk.